SAN FRANCISCO, Calif. (KGO-TV/CNN) – When your car gets towed, getting it back can be expensive. A bill proposed in California seeks to end towing practices that harm low-income people. The Bay Area is known for high costs, including steep towing fees. The average fee to retrieve a car from a tow yard is $500. Chiu, who represents District 17, said is having a devastating impact on low and middle-class residents. 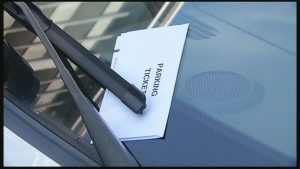 Tuesday he introduced a bill to eliminate poverty-related tows if the owner has five or more unpaid parking tickets, if the car registration is more than six months out of date or when a car has been legally parked for more than 72 hours. That’s information law enforcement has access to when calling a tow truck company. Diane Tober said when she went to register her car last year she discovered she had more than $1,600 worth of unpaid parking tickets and fines. “When you’re trying to figure out how to keep the lights on and pay your phone bill and put gas in your car and food on the table to be hit by such excessively burdensome fines is a real, real burden,” Tober explained. A burden Mary Lovelace felt as well. “I was unable to continually look for work once they put the boot on my car,” she said. If the bill is passed, two dozen statutory grounds for towing cars will remain intact. “Towing should be used for traffic flow and public safety reasons, not to push poor people further into poverty,” Chiu said. He added that enforcement mechanisms will remain to ensure Californians who are able to afford to pay parking tickets and registration fees still do.